34 Gal. Trash and Litter Receptacle The 68 Gal. 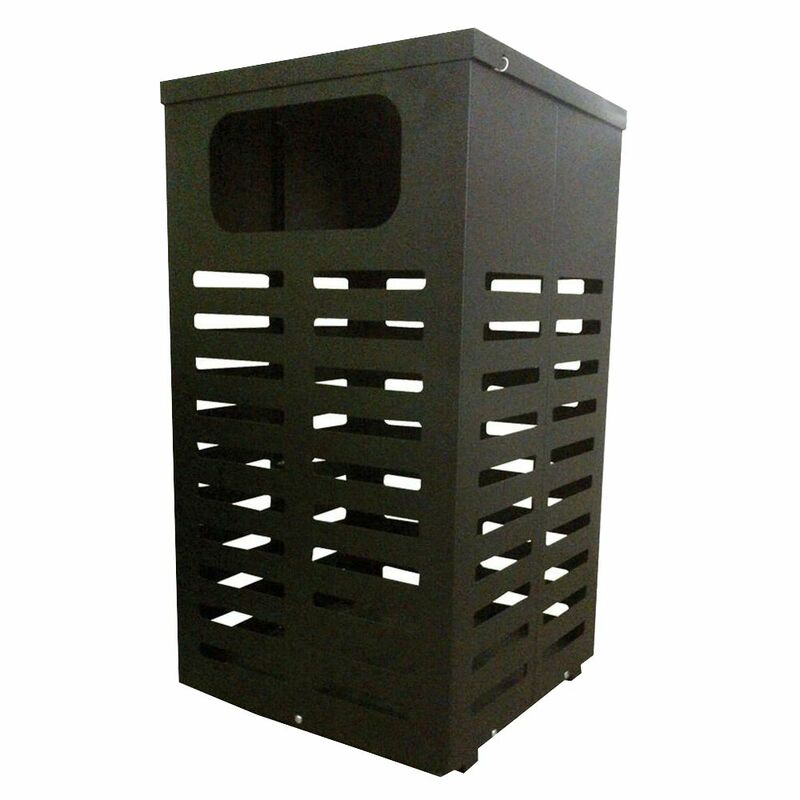 Steel Recycling Station features a heavy-duty construction that resists wear and tear from being outdoors. This heavy-duty receptacle comes fully assembled and ready to install. The steel components receive corrosion protection from a Zinc Rich Primer. The Primer is applied as an Epoxy Powder Coat after the metal components are sandblasted. This is followed by a durable Polyester Powder Finish Top Coat. Both coatings are electrostatically applied and then thermally cured creating a premium look. Backed by a 3-year warranty, this unit is built to last. 34 Gal. Trash and Litter Receptacle is rated 4.0 out of 5 by 4. Rated 3 out of 5 by bdmatthews from Product is great and not too difficult to put together. It does not come with the insert to put a... Product is great and not too difficult to put together. It does not come with the insert to put a trash bag in however and Home Depot doesn't sell the insert or refer you to where to find it. Rated 3 out of 5 by anonymous from very large this is a very large and heavy trash receptacle that comes in 6 pieces with a ring that holds the bags. it is marked over 80 pounds on the delivery slip. You need either two people to assemble or something that you can lean it against to line up pieces for putting in screws. I assembled it with top and bottom holding it in place before putting in screws. It also seems to scratch easily. In addition while it is very deep, if you fill a bag that fits in this receptacle full of garbage it is very hard to pull it out since it will get very heavy. i had to stand on a chair to get enough leverage over the top in order to pull the bag out. Rated 5 out of 5 by Anonymous from Incredible can! When I saw this trash can, I had to have it. I have never seen an outdoor receptacle like this available to the general public. I was also surprised at how tall and heavy it actually is too. I found that it was easiest if I took the various pieces out of the container and then assembled the can where I planned on placing it because of the weight and bulkiness. It went together without any problem whatsoever. It is deep enough that one definitely needs to keep a bag in it. Otherwise, I would have to dump it over to get anything out of it. I absolutely love this can.